Have you purchased a home insurance and realised that the sum insured doesn’t add up to the value of the property? If your answer is yes, then fret not because Allianz General Insurance Company (Malaysia) Berhad is coming to your rescue with its brand new Smart Home Cover. This new and modular invention encompasses everything that a house owner would need in a home insurance. For the most of us, your home is probably the largest asset you own, but according to a report by Insurance Services Malaysia Berhad (ISM), only two million homes in Malaysia are insured. “Cost and rigid home insurance products have always been the biggest factors that hold a customer back. 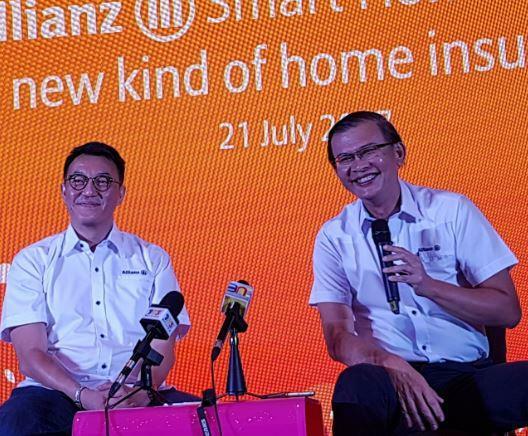 Well, with Smart Home Cover – not anymore,” said Zakri Khir, Chief Executive Officer of Allianz General and Allianz Malaysia Berhad. 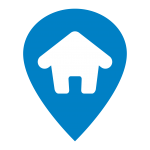 Keeping customers as their main priority, Allianz General came up with a flexible home insurance that is customisable, value-for-money and probably the only home insurance home owners will ever need. Covers the residential building against damage. With partners such as ServisHero and Recommend.my, this covers all your home repair needs which include burst pipes, repair of doors, locks and windows as well as domestic help allowance. This protects landlord from unruly tenants that cause damage to the home or runs away. If such incident occurs, landlord will only need to submit their tenancy report along with the police report and Allianz General will proceed with the claiming process. Covers the monthly loan installment in the event that the house is deemed temporarily uninhabitable due to insured events or evacuation by local authority exceeding 72 hours or the insured suffers accidental death or total permanent disablement. With all these five components, home owners can now decide which one is more important to them and customise their insurance based on their preference. “This is a comprehensive coverage with modular offerings, which means you can choose whatever you want based on your needs,” said Sean Wang, Chief Operating Officer of Allianz Malaysia Berhad. Typically, insurance product has delayed gratification and the public prefers something that gives them immediate gratification. For instance, home owners who purchase Fire Insurance can only claim if fire actually occurs in their house. But the thing is fire accidents are quite hard to come by, which means most of them don’t get to claim anything at all. Therefore, Smart Home Cover is Allianz’s attempt to break this by allowing consumers to receive earlier gratification for utilising the product. Apart from that, Allianz’s agents are also well-trained to help consumers to determine the amount that should be insured for their residential building on an agreed value basis. They are basically trying to help and correct the inadequate coverage that most home owners typically receive. Allianz Malaysia Berhad CEO Zakri Khir (right) and Allianz Malaysia Berhad Chief Operating Officer Sean Wang (left) taking questions from the media during the press conference. Another good news that’s worth highlighting is that for houses located in non-flood prone areas and priced below RM200, 000, home owners will immediately enjoy 30% discount off their tariff rated premium. But if your house is more than RM200, 000, you will also instantly enjoy 10% discount. Additional discount (maximum 30%) will also be offered if insured adds on more components. This basically means the more components you buy, the more discount you’ll get, making this product extremely beneficial when it comes to value for money. If the Smart Home Cover excited you and you would like to purchase it, feel free to walk into any Allianz General branch nationwide or contact your Allianz General agent now. For more information about the product, please visit allianz.com.my.